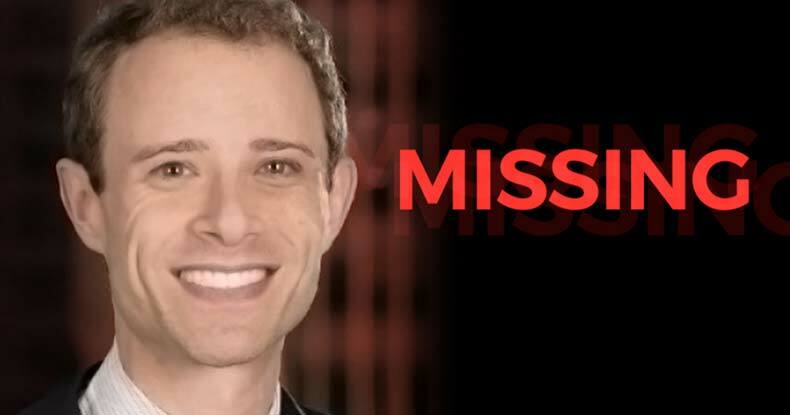 Twitter users have started the hashtag #WheresEric in reference to Eric Braverman, the former CEO of the Clinton Foundation, because some think he has been a possible missing person since before the November 2016 U.S. election. Braverman’s last public activity, accessible via the internet, was an October 12 retweet. A common understanding of the events surrounding Braverman’s possible disappearance centers around his abrupt resignation from the Clinton Foundation in January 2015, which many thought was caused by his discovery of internal corruption at the non-profit organization. Braverman named was CEO in July 2013 during the immediate aftermath of Hillary Clinton’s tenure as Secretary of State which ended February 2013. A popular Youtube channel run by a man named George Webb has been tracking Braverman’s story and features daily video updates. Webb thinks Braverman has been missing since October 24, which was two days after it became public knowledge that he was suspected of being a traitor to the Clinton Foundation. Hillary Clinton’s campaign chairman John Podesta thought Eric Braverman was the source of information leaks to the media, according to a leaked email sent March 8, 2015, which was published on October 22 of this year by WikiLeaks. This email was one week after a March 1 POLITICO article which detailed his struggle against the tenured Clinton staff, titled “Eric Braverman Tried to Change the Clinton Foundation. Then He Quit.” The article was described as “Not a pretty read” and forwarded to Podesta less than 24 hours after it was published. While these events occurred in 2015, many believe that the ongoing FBI investigation of the Clinton Foundation may be a factor in Eric Braverman’s lack of public activity. The Podesta email releases by WikiLeaks came at the height of campaign season in October, and featured proof of many theories related to Hillary Clinton’s corruption that occurred during the tenure of Braverman at the Clinton Foundation. The Benghazi scandal unraveled during that time, leading up to Clinton’s testimony before Congress and the subsequent investigations. Near the end of 2014, the discovery of Clinton’s private email server began to cause problems and eventually broke into public view in March 2015, right after Braverman’s resignation. One of the most damaging emails revealed what has been called a “pay to play” mechanism, where the Clintons sold influence with the U.S. government to wealthy foreign interests. In January 2015, top Clinton aide Huma Abedin and John Podesta discussed a problem related to the deal Hillary Clinton made with the King of Morocco for $12 million. August 2014 emails revealed Clinton sent Podesta a memo that Saudi Arabia and Qatar were funding ISIS. While it is clear that Clinton would have known about the Saudi and Qatari links to Islamic State, it is not confirmed if Clinton wrote the memo herself. The New York Times admitted in April 2015 that untold millions flowed to the Clinton Foundation after a series of deals allowed uranium mining rights to be transferred to Russian state-owned interests. The Russian takeover of the conglomerate Uranium One was approved during Clinton’s tenure at the State Department despite national security concerns which should have prompted more scrutiny. The full scope of the scandal was being discovered late in Eric Braverman’s tenure at the Clinton Foundation. One independent media outlet claimed to have made attempts to contact Braverman by phone and email, both of which were unsuccessful. The same organization claimed to receive no response after contacting Yale University officials about Braverman, who has taught courses on government and policy in the law school and other departments. Braverman is still listed on Yale’s website for Spring 2017 classes in the School of Management and the law school. The Free Thought Project was not able to reach Yale University for comment before publishing this report due to the holiday season. The Free Thought Project spoke with Nathan Williams, the Managing Director of Public Relations at the Yale School of Management, who commented “we have nothing further to add to your story” and referred us to the University’s main Public Affairs office. He repeatedly stated he had no comment to specific questions regarding the completion of Braverman’s Fall 2016 courses or the expectation of beginning the Spring 2017 courses. The university’s main Public Affairs office is currently processing the request.